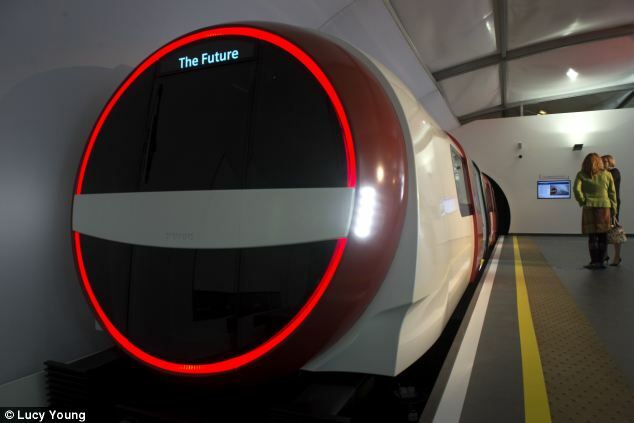 A full-size concept model of Inspiro - a driverless train that is more energy efficient than current models in use with more creature comforts for commuters, will go on show at an exhibition in London. 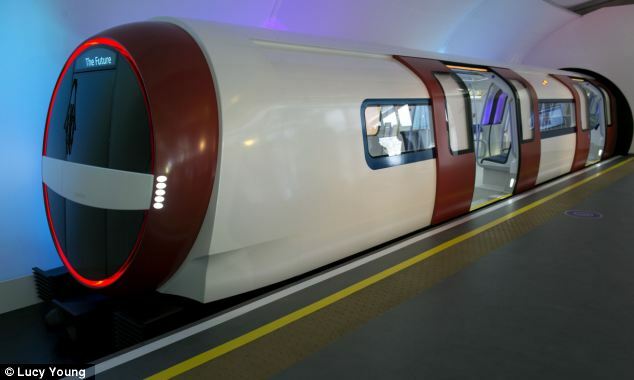 The Inspiro is 30 per cent more energy efficient and 20 per cent lighter than similar modern metro trains. 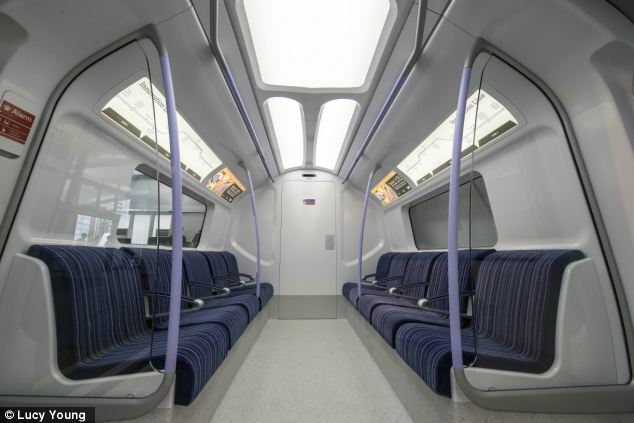 The carriages are lit with LED lights and are fully air conditioned, as well as doing away with dividing doors separating the carriages, to give 30 per cent more capacity than some of the older carriages in use on the London Underground. 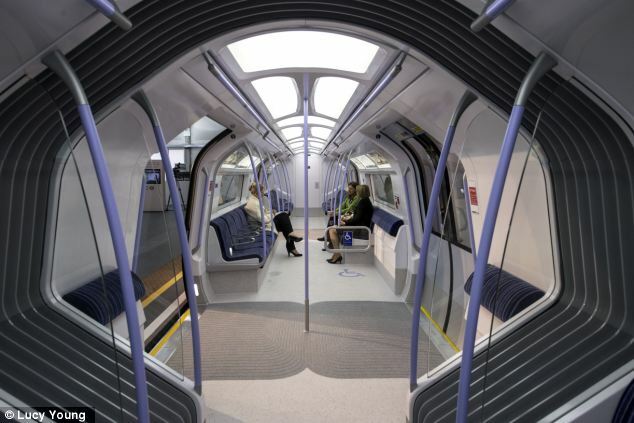 Siemens said that commuters would also benefit from wider door openings in the carriages to avoid the rush-hour crush of people piling on and off the underground trains. Controversially the train does not rely on a human driver and if ordered for the capital one day, would not be popular with trade unions. 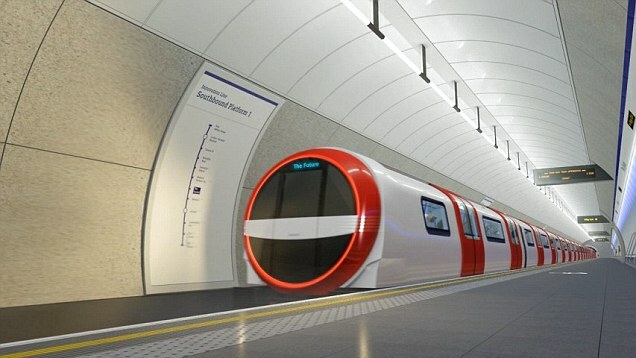 The news, reported by the Evening Standard, that the train could potentially be built in Britain, follows the Government's decision to award funding to Transport for London for the Tube specifically, based on its claim that new orders for carriages will be given to firms based on Britain. 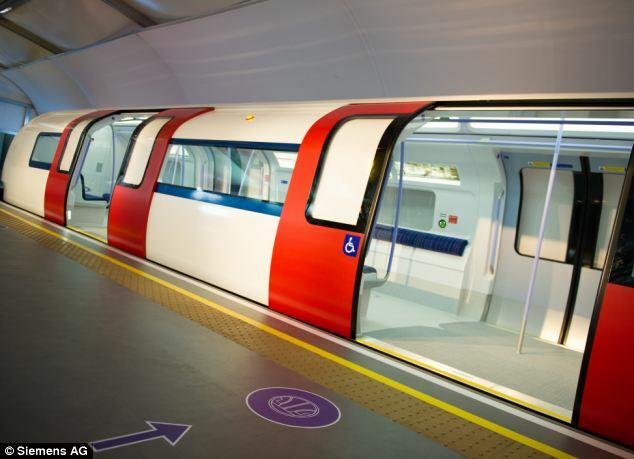 London-based commuters pining for a more spacious and stylish way to travel to work will be able to see the concept model from October 8, when it goes on show on the site of The Crystal in Royal Victoria Docks. An accompanying exhibition will also highlight technologies built to help travellers find their way more easily, as well as the latest development in ticketing and passenger information systems, that could make navigating cities easier in the future. 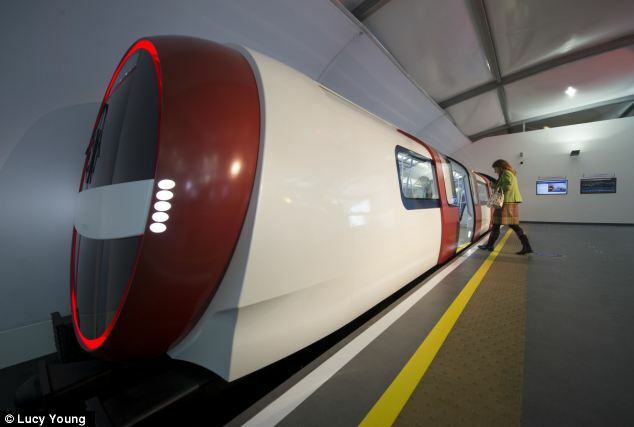 Steve Scrimshaw, managing director of Siemens Rail Systems UK, said: 'London, in common with many large cities around the world, faces significant transport challenges as a result of ongoing population growth and increased capacity demands.